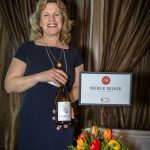 For 9 years the wineries of Okanagan Falls have gathered up their new Spring releases and headed for the West Coast. This year we find them at The Terminal City Club on Hastings. A grand heritage building. Funds raised go to BC Hospitality Foundation. 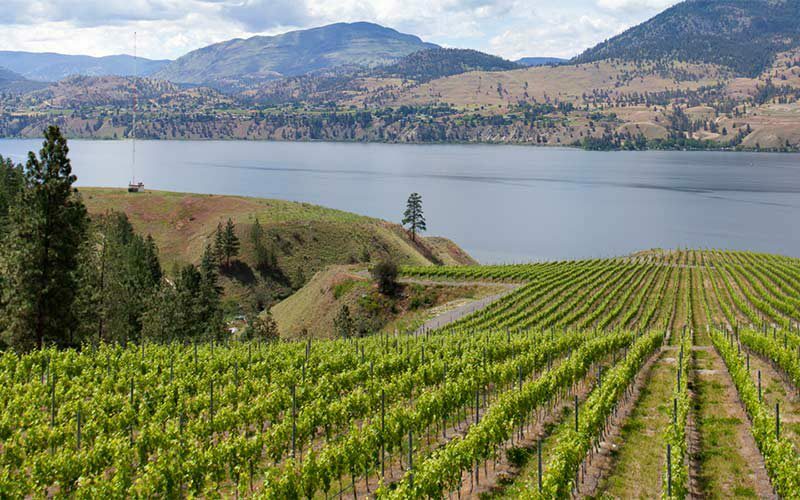 From the northern tip of Skaha Lake to the hills above Vaseux Lake the Okanagan Falls wine region in the South Okanagan was blessed with the land that the ice age left behind. When the huge glacier came through and formed the valley, it managed to created pools and hollows. Each one today has become its own growing terroir. A combination of silt and rock. Each vineyard can have a completely different expression of wine. Best of all, the days are hot and bright and the nights are cool. Possibly the best growing combination that nature can provide. In 2018, the B.C. 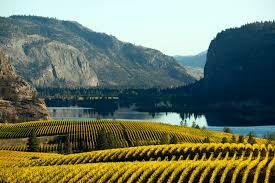 Wine Authority gave Okanagan Falls their own sub-region designation. Oliver’s Golden Mile was the first local region to get appellation status. Similkameen, Kelowna, Lake Country, Peachland, Summerland, Naramata, Penticton, Oliver and Osoyoos — are expected to be recognized within the next few years. The process is, in a word, glacial! One of the top 5 wine consultants in the World, Alberto watches over many vineyards. They can be found in Italy, the U.S., Argentina, Canada, Chile, Uruguay, Armenia and Australia. Alberto also consults for Okanagan Crush Pad, Haywire, Freeform, and Narrative in Summerland. Okanagan Crush Pad is a state-of-the-art 40,000 case winery, 320-acres of vineyard and farmland, with a focus on creating natural wines exclusively from organic grapes. With home vineyards Switchback and Garnet Valley Ranch now organic certified Haywire is changing the game in the Okanagan.. Winemaking is in the capable hands of New Zealand native Matt Dumayne who works closely with Alberto Antonini. The entire team is committed to farming wines that are lively and elegant and let the natural beauty of the Okanagan Valley shine through. 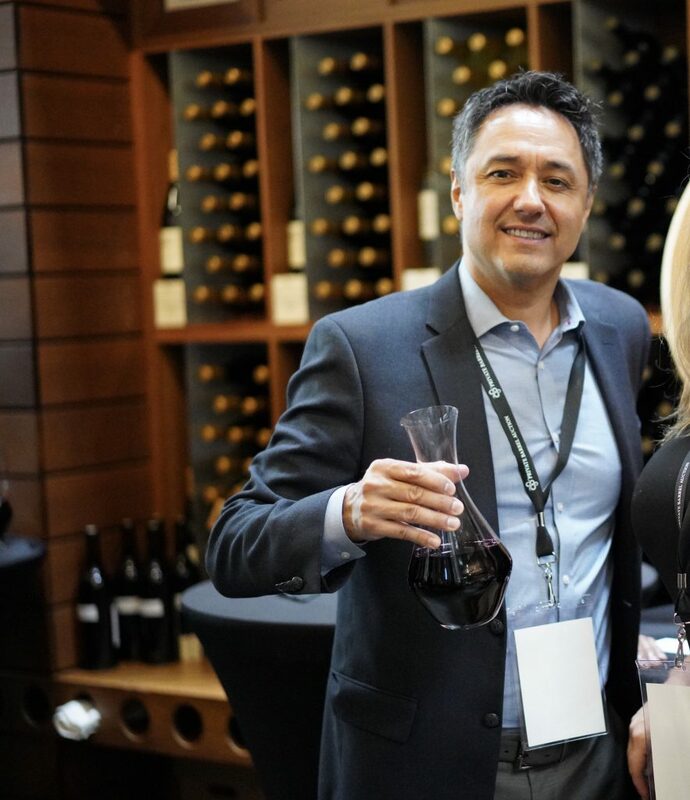 Alberto and Pedro Parra were pouring their wines in Vancouver recently in partnership with Wine + Spirits the newest beverage alcohol sales agency in British Columbia. 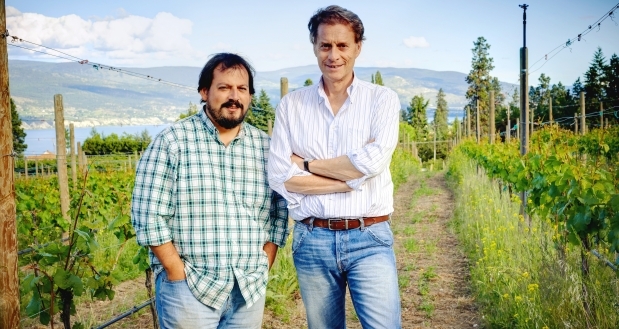 Owned by Christine Coletta and Steve Lornie, who also own Okanagan Crush Pad winery in Summerland, the new agency will sell the Haywire and Narrative labels, and debuts with wineries from other countries: Alberto’s Poggiotondo (Tuscany, Italy), and Pedro Parra y Familia, (Bio Bio, Chile). 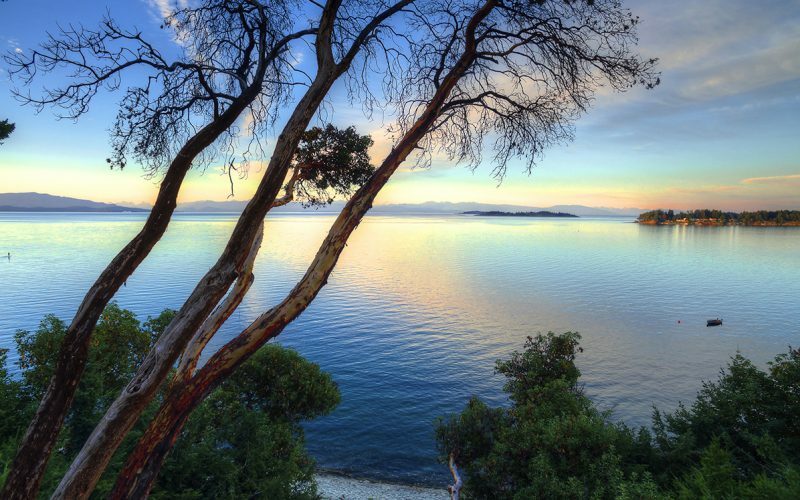 Coolshanagh from Naramata will also be a part of the HQ Wine + Spirits portfolio. Have a listen to Alberto Antonini. Few on this planet know wine making better than him. His partner Pedro Parra is a soil whisperer. With his skills, he can tell the land owner exactly what they should be growing in the earth beneath their feet. Pedro poured his delicious Family wines. Both Alberto’s and Pedro’s wines are now available in BC. As expected, the wines are SPECTACULAR. Best of all they are all Natural Wines. story. 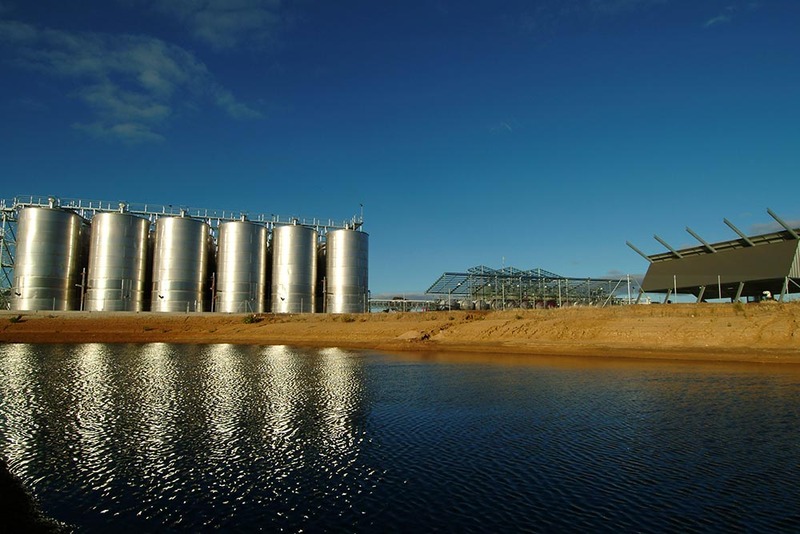 Yalumba is Australia’s oldest family owned winery. saved the winery many years ago. on to find a land for his vines. If the name Brigitte Raye doesn’t immediately connect with your memory bank please let me make an deposit. For me it starts at La Regelade in West Vancouver. A Wonderful French Bistro. With Brigitte front of house and Husband Alain in kitchen. After a shut down and a divorce the parents work with their sons in various bistros. In the latest installment, Alain takes a break. Son Kevin has been cooking at Langara Fishing Lodge in Haida Gwaii; and son Steve opens Orto Artisan Pasta in North Vancouver with mom Brigitte charming everyone who walks through the door. Orto means garden in Italian. After all the French cooking, why Italy? Well, partly because Brigitte married an Italian. That helps. It’s an old building just off Marine Drive in North Vancouver. It used to be called Ethical Kitchen. My old turf where I grew up. Everything Wine is half a block away. Its well worth the search. Orto shares space with Vadim Mugerman’s Bad Dog Bread. A very good bakery. Exceptional really. Bad Dog Bread offers breakfast until 11am. Next door, the former Ethical Kitchen operator makes kombucha. 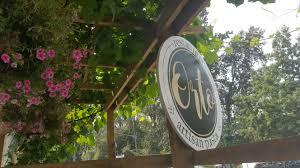 You can get the bread and Kombucha all while dining at Orto as well. The pasta is everything you could want. There’s a very popular share dish of Burrata & Prosciutto with Bad Dog Bread. Fresh and delish! As Brigitte explains, all the plates are from thrift stores… only adds to the cool. Looking for a great personal space to just hang and love the food., here it is. 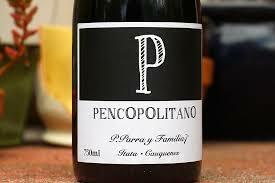 and we finish Tasting Room Radio featuring a chat with Pedro Parra. Find his wines. They are sensational! 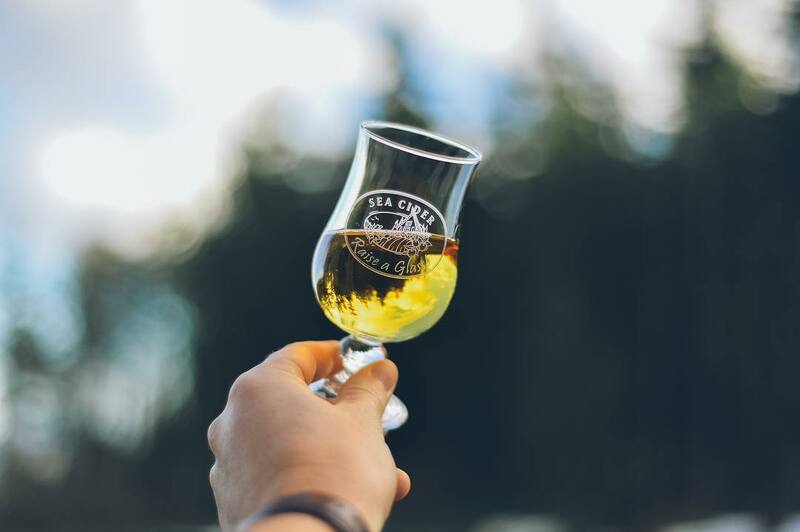 It’s the annual Untapped and Uncorked Craft Beer and Wine Festival in Parksville, Vancouver Island. 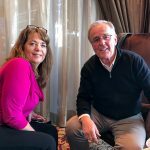 The featured winemakers are the charming Severine Pintewho was pouring La Stella for a winemakers dinner at Beach Club Resort and for his first ever interview Ross Wise, the brand new winemaker at Black Hills. Home of Note Bene. Before we get to those prime feature interviews..let’s head to the “untapped” part of the weekend. We start with the craft beer makers at Tigh-Na-Mara and a guy I’ve been waiting a whole year to reconnect with. 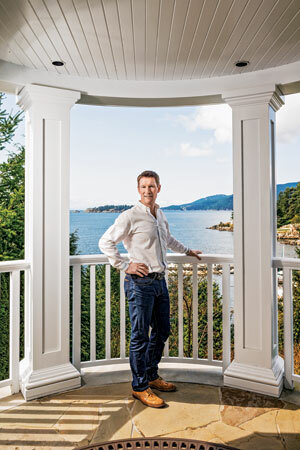 When I interviewed Dave Paul from his Love Shack Libations, just up island from Qualicum Beach, he was about to pour his first beer at his first event EVER. Like an opening night. 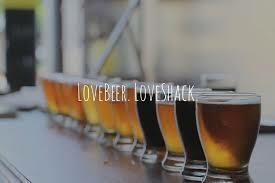 Love Shack is a very popular small brewery that the locals all love and tourists are starting to discover. Dave makes a new beer every month..so depending on when you walk in, your choices may be different from month to month. Dave was pouring his latest brew, with the zeal of a mad scientist. It’s called Juicy Juice – Northeast style hazy IPA. Love Beer. Love Shack. A local Dave headed to the UK to start his brewing education. His career took him through the UK, 5 years at Whistler Brewing, then Tofino Brewing and Axe & Barrel Victoria. Mount Arrowsmith brings him full circle. Back to where it all began. 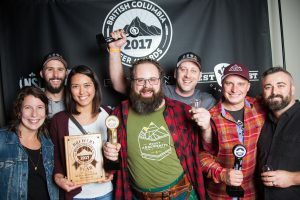 All that craftwork resulted in Mount Arrowsmith winning Best Amber Ale in the World, at the 2018 World Beer Awards. Kev Ward, a Liverpool lad, has been brew master for about 6 years. First thing he did was change all the recipes. 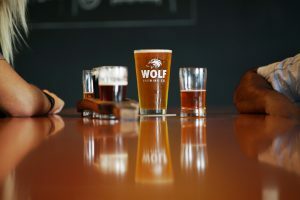 Wolf Brewing still uses old-school techniques in its brewing. Check out the line up. Golden Honey Ale, Porter, Scotch Ale, Black and Tan, IPA! He says “hey” to all his buds back in Liverpool listening on The Net! 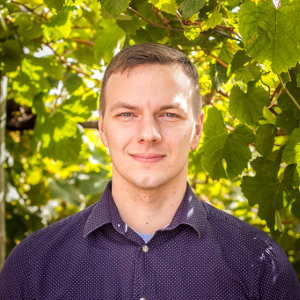 Clay’s brewing career started at University of Victoria for Biology & Chemistry and Heriot Watt University in Scotland for the Brewing & Distilling Master’s Program. He was lucky enough to work with and be mentored byPaul Hoyne. 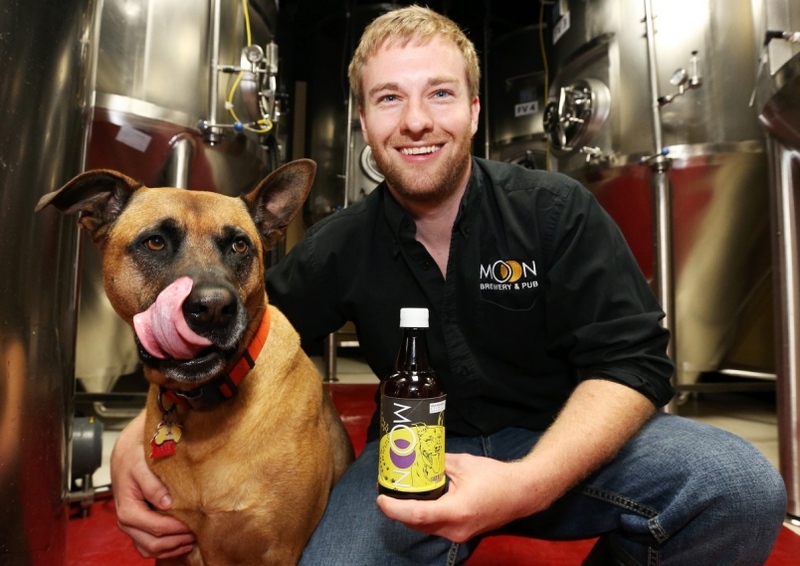 With his family, he took over the Moon Under Water Brewery in 2012. In December 2017, Clay opened a distillery within the brewery. The Moon Distillery has recently launched their first wave of products, featuring Citrus Gin, Orange Vodka and Espresso Vodka, all made with local malts, fruits and botanicals. Black Hills is the home of one of Canada’s greatest wines Note Bene. A huge Bordeaux blend and a spectacular portfolio. It includes one of my three favourite BC wines, their Carmenere! 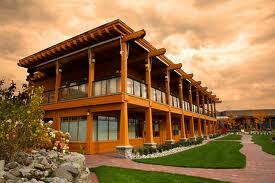 The sale of the winery to Peller sent the Canadian wine industry sideways. The new winemaker has to follow in the footsteps of the legendary Senka Tennant and Graham Pierce. Ross has the chops to more than do the job. 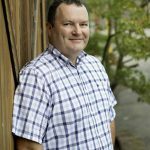 New Zealand-born Ross Wise joined Phantom Creek Winery in September, 2016, as the fulltime winemaker. 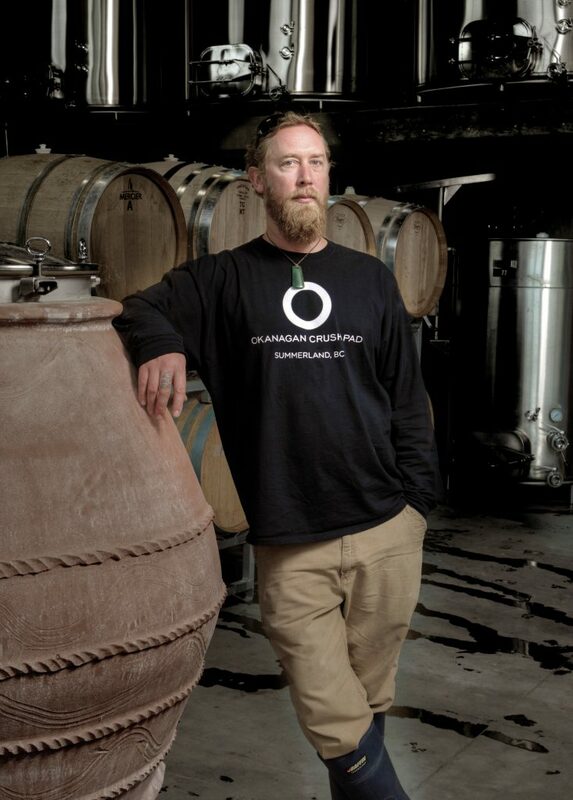 A 2005 enology graduate of Australia’s Charles Sturt University, he started his career as a vineyard supervisor at Felton Road Winery in Central Otago, and moved on to the cellar at the Grove Mill Winery in Marlborough before coming to Canada in 2006. 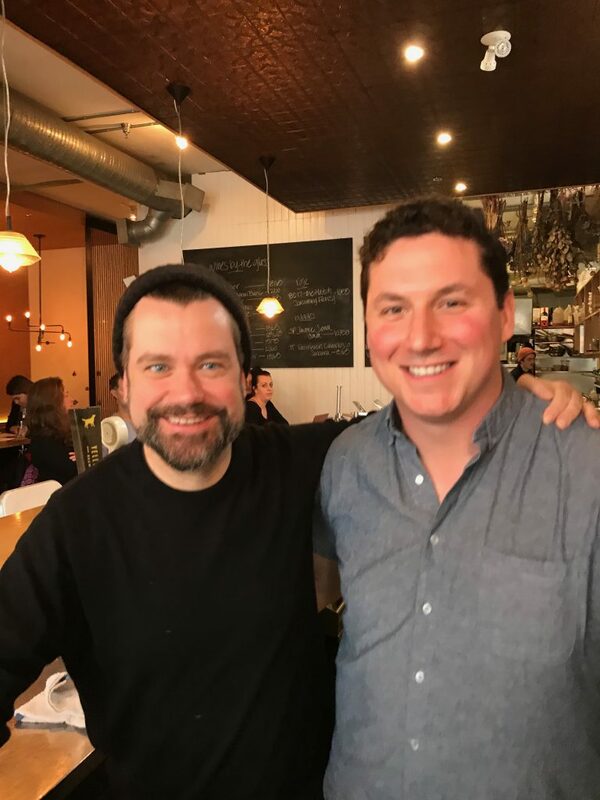 In 2012, he launched his own consulting firm, making wines with several Ontario wineries, including Rosewood Estates, Keinte-He Winery, The Organized Crime Winery, Icellars Estate Winery and The Good Earth Winery. The opportunity to make ultra-premium wines in the Okanagan drew him to Phantom Creek, and now, to Black Hills. In addition to all that, he is well into his studies to become a Master of Wine. This is the first verbal interview Ross has done. He was great! On the other hand, Chef Eric Edwards at Tigh-na-Mara loves a microphone. He’s outgoing and loves to swap verbs. Chef paired his food with Black Hills wines. You can hear the delight in his voice. It helps that he’s a very good chef..with a command of his ever expanding kitchen. Severine makes both La Stella and Le Vieux Pin but on the night she was pouring La Stella exclusively! 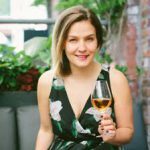 She apprenticed at the Cave de Tecou in the AOC Gaillac before coming for the first time to British Columbia to work for Domaine de Chaberton as an assistant winemaker. In 1999 she returned to France and worked a year in Bordeaux under the direction of Andre Lurton in Pessac-Leognan then returned to the Languedoc. 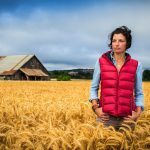 For nine years Severine was head winemaker and viticultural council for ‘Le Vignoble des 2 terres’ in the Terrasse du Larzac terroir. 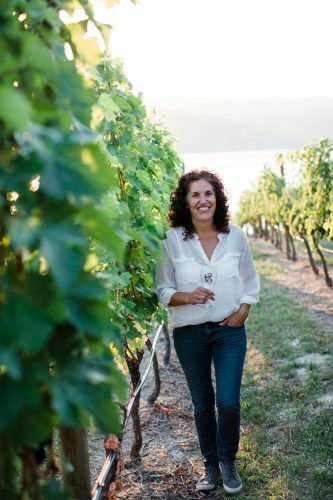 For her, The Okanagan, with its unique terroir and cool climate, has always been intriguing. As such she is the perfect candidate to craft world class Syrah and Viognier in the South Okanagan. Pedro Parra – Pours his wines. 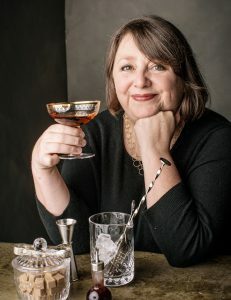 March 23rd, 2019 – Here come the Somms! 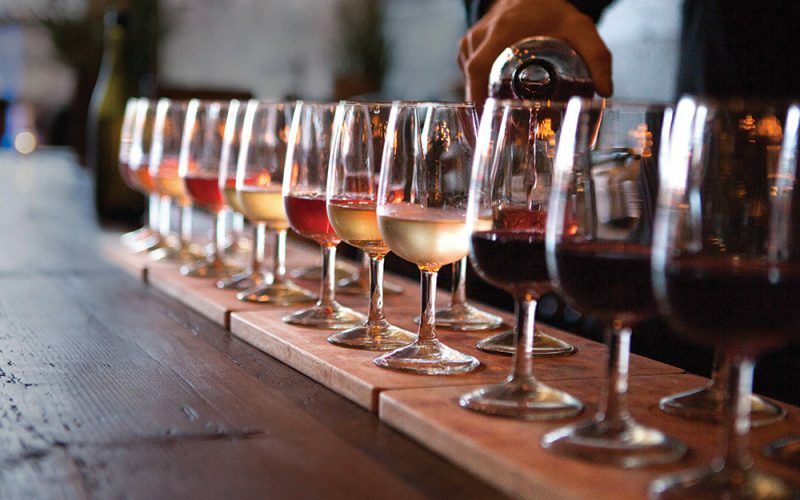 A sommelier, or wine steward, is a trained and knowledgeable wine professional, normally working in fine restaurants, who specializes in all aspects of wine service as well as wine and food pairing. The role in fine dining today is much more specialized and informed than that of a wine waiter. OK..now that we have the slightly snotty posting out of the way..let’s meet our handpicked Somms. Kurtis Kolt – It was KK’s wine column at the end of January in the Georgia Straight that set this thing in motion. He was saluting the annual Sommelier competition at Rogers Arena. On this show Kurtis takes us through this year’s tough competition. It not just what you know but how you handle the obstacles the judges throw at you. Cactus Club Café service director Sebastien Le Goff, B.C. Liquor Stores category manager and Master of Wine Barbara Philip, and Joey Restaurant group sommelier Jason Yamasaki. They really do try to throw you off. For example they asked the winner Matt Landry to serve a magnum of champagne to 14 glasses and keep answering questions at the same time. Kurtis reveals the unseen side of being a Somm. The career appears glamorous but it’s a lot of mental and physical work. You REALLY want to have to do this. Kurtis also takes us through the background of two other Sommeliers he’s recommended for the show . 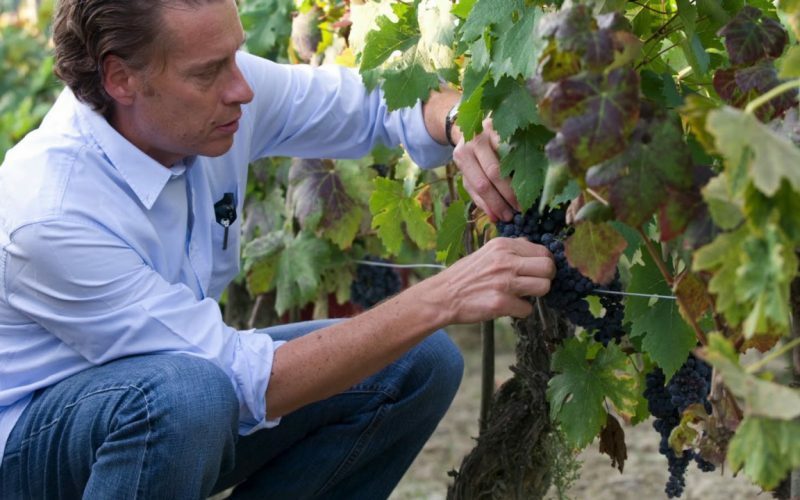 Kurtis Kolt is an educator, wine judge, consultant and a lapsed Sommelier. This was Matt’s third attempt at winning this prestigious competition. He takes us through why he felt he didn’t win the two previous times and what he thought he did this year to win the whole thing. 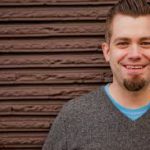 He grew up in Niagara wine country and started as a server which lead to an opportunity to take over a wine list. He had no idea what he was doing but took the job anyway. He’s taken and passed Italian and French wine classes. Thinking about Spain now. 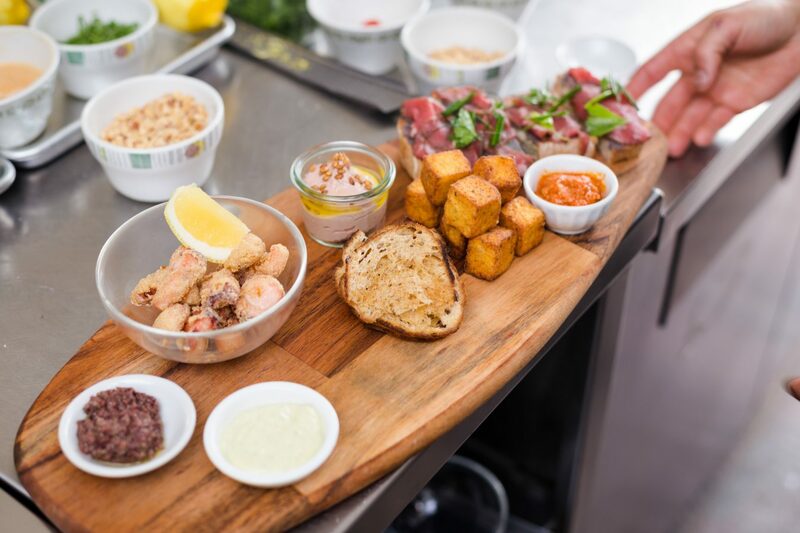 Because Stable House Bistro encourages a sharing menu..Matt has to be on his toes as to what he can pair with on those tables. Matt says that because the fine dining and wine of West is right round the corner he decided to take Stable House almost all Italian wines. Kristi Linneboe from L’Abattoir and Kelcie Jones from Chambar. “My biggest turn-off in this industry is ego. It is impossible to know everything about wine, so why get all caught up in who knows more or who drank what? To be honest, the more I learn about wine, the more I realize how much more there is to know about wine. The study of wine is the study of the world – it is social, historical, political and environmental. Every day I learn something new about topography, geology, geography, climate change, sustainability, and so much more. Wine is alive. It is constantly changing. You can drink a wine from the exact same plot of land year after year and you will never drink the same wine twice. Wine laws, governmental regulations and land ownership are constantly changing, (just as the Earth is constantly evolving), which is why it is important to be constantly immersed in research and information. Kristi and Kelcie are great friends. There’s a friendly competitive edge to their conversation about wines, food pairings and what they’re tasting lately. 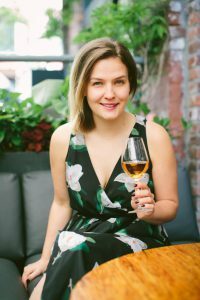 Kelcie is the Wine Director at Chambar and as such is expected to know her wines inside and out and then be able to pass on her knowledge to Chambers’ passionate clientele. When people talk about a buzz in a restaurant, at Chambar that starts at the front door. People are genuinely excited to be in the rooms and part of the experience. One last interview for you. 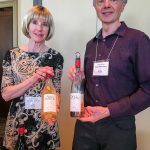 We did 35 interviews at VanWineFest and this one got left out because of timing. Black Hills pours new releases. It’s part two of this year’s VanWineFest. Last week we profiled “The Californians”. Except for the first two interviews here, the rest of this Tasting Room is with The Canadians. Jean Charles Boisset – Boisset Collection. Raymond Wines. Separately they are iconic/driven personalities. 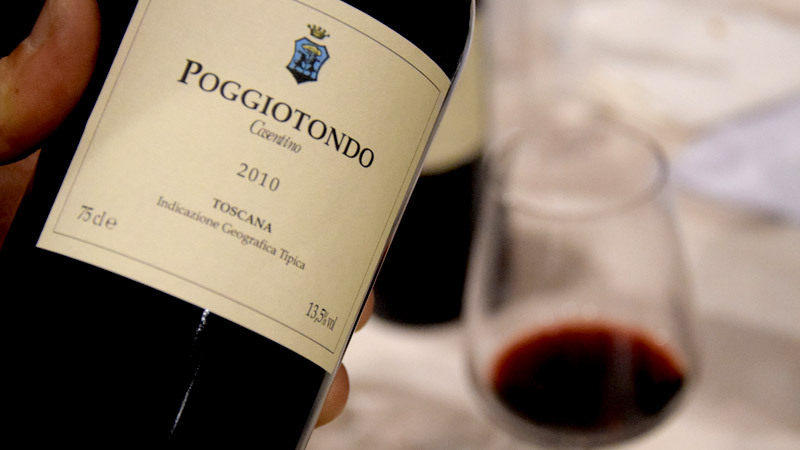 Together as husband and wife they are one of the best known families in the Wine World. Gina is a member of the Gallo family, pioneers of wine-making in California. 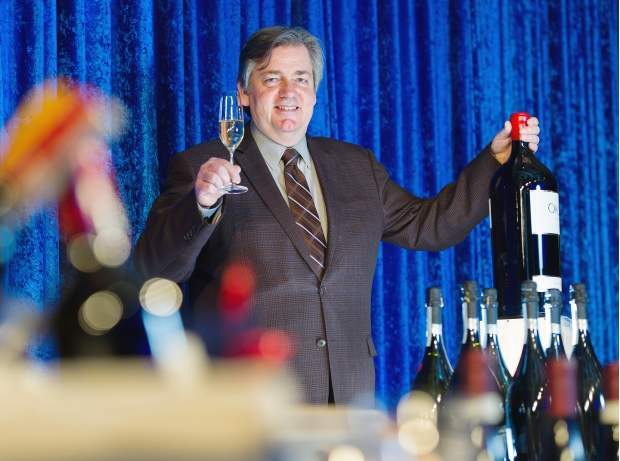 Jean-Charles is a French vintner and owner of Boisset Collection, which operates two dozen wineries in California, France and Canada. 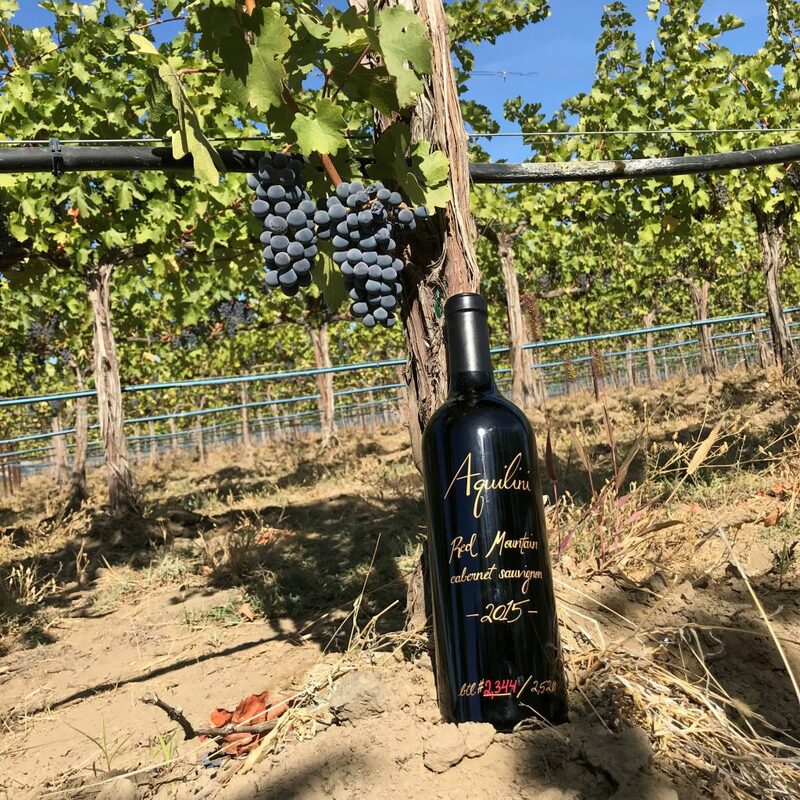 Has created a wine with John Legend called LVE. Met. Married. Created Twins. Ran their Empires. All the while Gina Battled and Beat Back Cancer. Honoured to welcome them both. Chris is the oldest son of founders Jim and Midge Wyse. 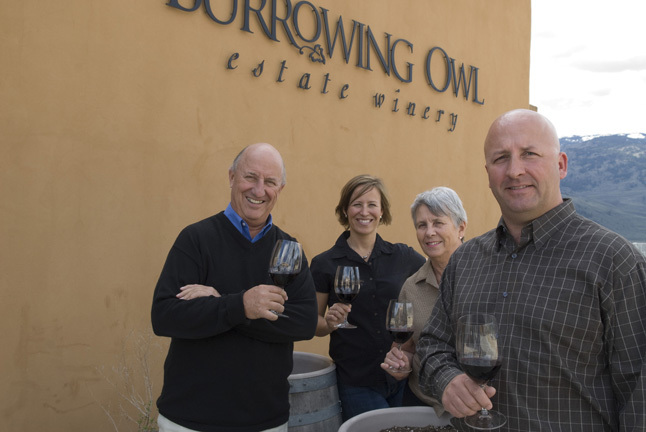 Today, with its dramatic vantage point in the middle of the vineyard, Burrowing Owl Estate Winery is a winemaking facility that combines state-of-the-art technologies with proven, classic winemaking traditions. A gravity-flow system handles ripe grapes delicately, preserving their rich fruit character. Aquilini Wines headed to the Vancouver Wine Festival to introduce themselves to Canada for the very first time. John Skinner is a leader in and out of the vineyards. 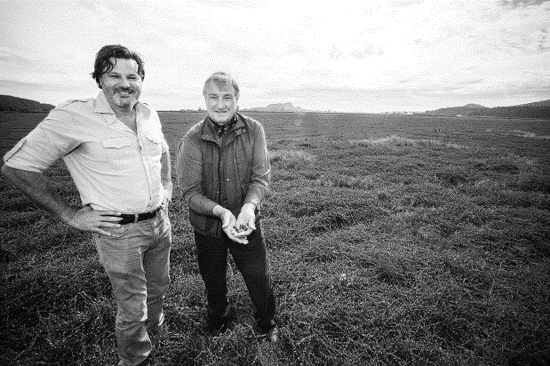 Matt Dumayne is the winemaking leader at Haywire, Free Form and Narrative. All at Okanagan Crush Pad. 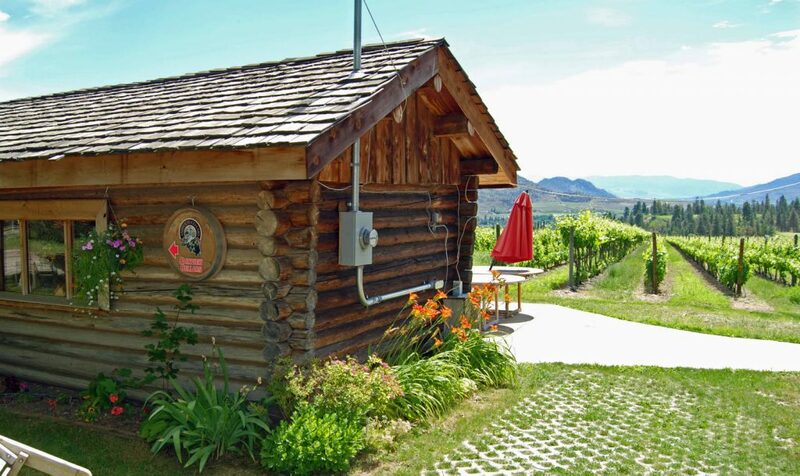 As well as making articulate wines from its organically-certified home Switchback Vineyard, Okanagan Crush Pad is designed as a hub for local winemakers. Heritage techniques, modern knowledge and the spirit of collaboration fuse to form a vanguard for the Okanagan’s next generation of winemaking. Okanagan Crush Pad’s labels include the single vineyard Haywire collection, Narrative series and Campus wines. Wines from Bench 1775 are produced with the unique expression of fruit grown in the Okanagan Valley from three vineyard locations: Oxbow Vineyard, on the original Golden Mile in Osoyoos, South Okanagan, and at Paradise Ranch Vineyard and Soaring Eagle Vineyard in the Central Okanagan. Carefully managed vineyards and beautifully balanced wines could not be produced without an amazing team led by Viticulturist/Winemaker Val Tait and supported by Alain Sutre, wine consultant extraordinaire from Bordeaux France. Chris Jentsch is a farmer first, then winemaker and finally, a great guy. At the first Judgment of BC pitting 12 BC Wines against 12 acknowledged global benchmarks C.C. Jentsch Syrah 2013 from the Okanagan Valley ranked first among the flight of Syrah. 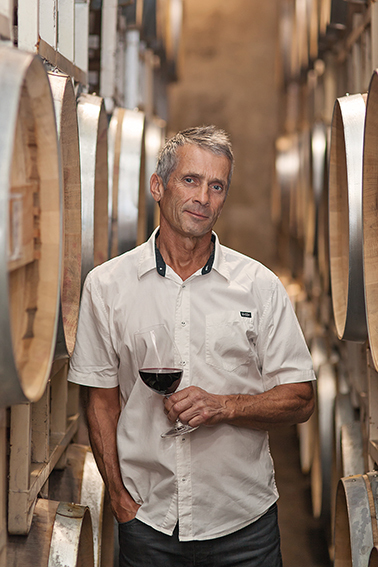 As an exceptionally talented and innovative winemaker, Randy is totally committed to the challenge of producing world-class, award-winning wines. Randy has handed the day to day winemaking to Justin Hall. A proud member of the Osoyoos Indian band, Justin works with Randy to craft the award-winning wines of Nk’Mip Cellars. 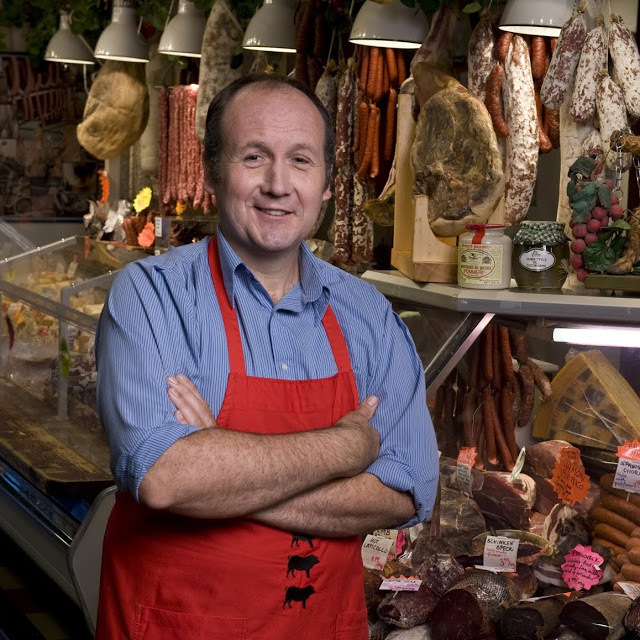 In 2008, Stefan Arnason took on the position of Winemaker. Each year, Stefan and his team handcraft the Poplar Grove Wines. Poplar Grove is focused on six core wines: Chardonnay, Pinot Gris, Merlot, Cabernet Franc, Syrah and an Icon blend called The Legacy. Outspoken. Gifted. A Mentor. Educator. Closet Musician. Understands winemaking in the Okanagan like no other. His labels tell you everything about his wines and his character. Madcap Red. Two Hoots. Bucket O’ Blood. The Bear. Ross has been an integral part of the winemaking team since 2013 and was the protégé of former Winemaker Nikki Callaway. 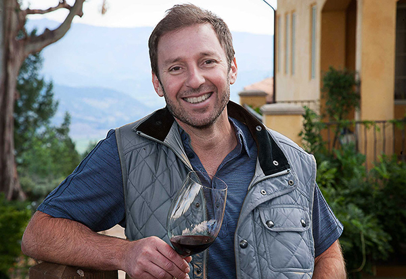 A native of Kelowna, Ross previously worked at Villa Maria Estates in Marlborough, New Zealand and also at both Red Rooster Winery and Kettle Valley Winery. …and finally Nova Scotia arrives in Vancouver. Keeping an eye on The Maritimes. 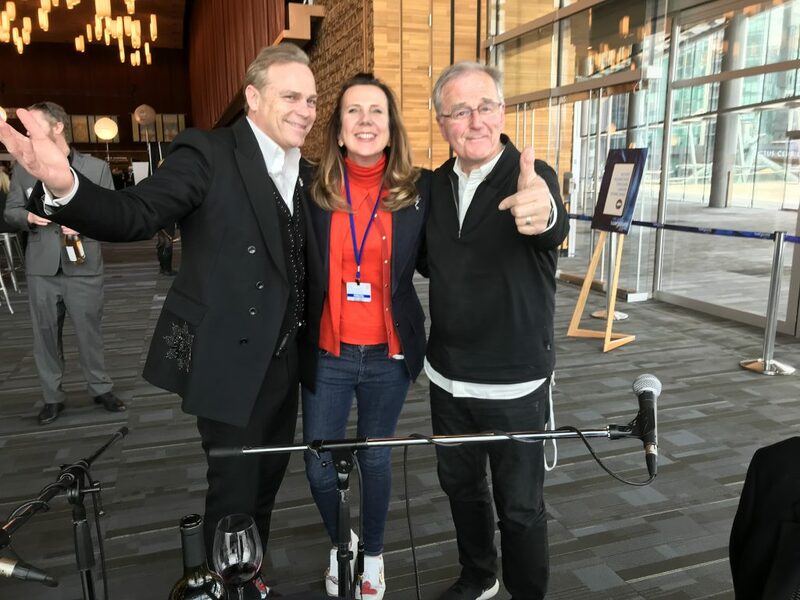 March 9th, 2019 – The 41st VanWineFest Part One – The Californians! 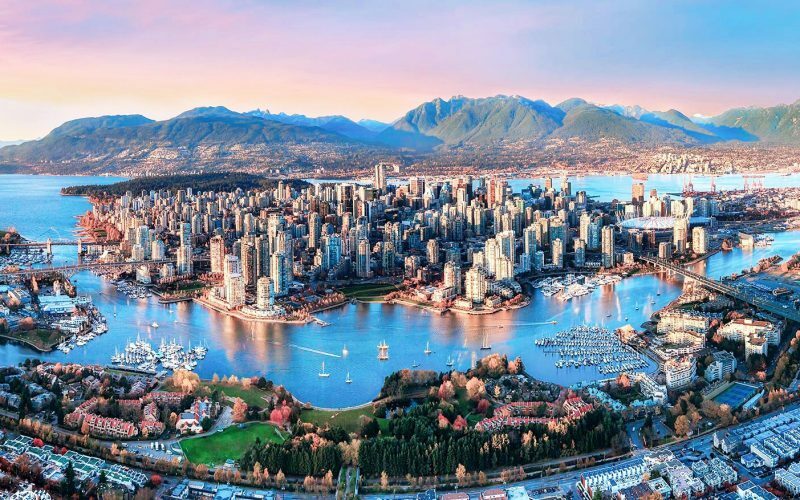 The 41st VanWineFest Part One – The Californians! 7 CEO’s or General Managers. 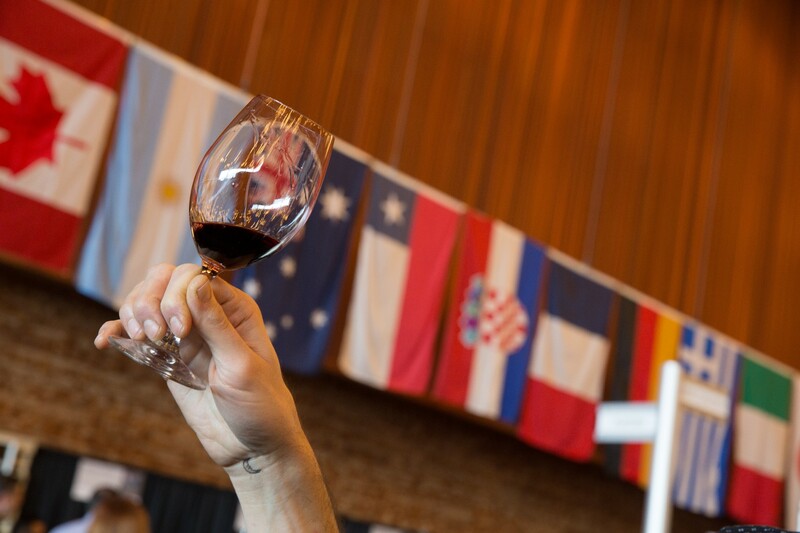 41 years ago the Vancouver International Wine Festival opened their doors to the World’s wineries. Only one showed up. Robert Mondavi brought his California wines to pour that day. Some say California saved the show. And so, here we are 41 years later and California is the feature region at the 41st VanWineFest. What a line up. We couldn’t talk to them all but we did do pretty well. Seventeen Californians and one certain Washington Red Mountain newbie. 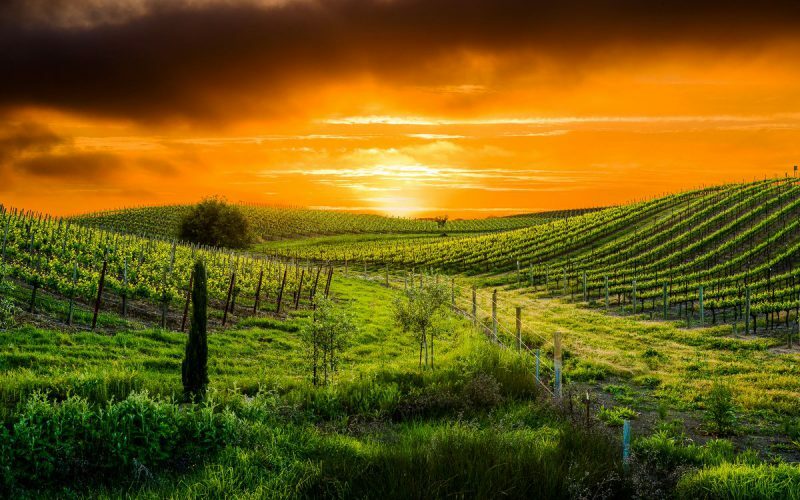 Have a favourite California wine? Check the list below. See if it’s there or see if it’s there but go looking for a new California pal. Here’s why I immediately liked Jon Bonne. 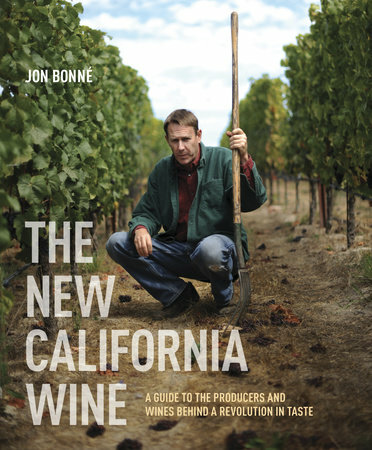 Jon Bonné is one of the most influential American voices on wine. 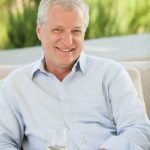 He is the senior contributing editor for PUNCH, and the author of The New California Wine and The New Wine Rules. 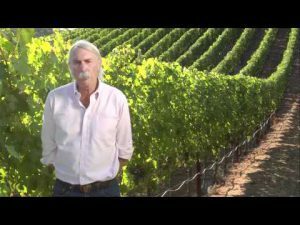 Bob Blue – Founding Winemaker at Bonterra, 1000 Stories and Elysian Collection. In 2016 the Wine Enthusiast awarded Bonterra as its American Winery of the Year because of its commitment to organic farming and it’s quality of affordable wines. Bonterra is the most popular organic wine in the USA. Fetzer’s bourbon-barrel-aged Zinfandel 1000 Stories debuted in 2014. In the five years since, production has exploded from 5,000 cases to more than 140,000 annually! 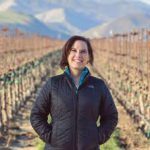 A New Zealand native, McAllister earned a bachelor’s degree in viticulture and enology from Lincoln University in Christchurch, New Zealand. 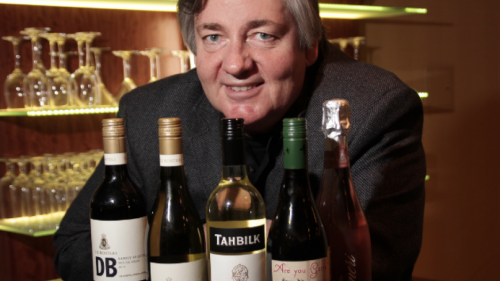 His deep passion for winemaking has taken him all over the world, from New Zealand to Australia, Chile and Cyprus. 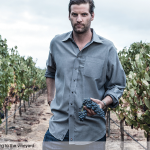 Since moving to California, in addition to his work with La Crema, McAllister has also made wine for Wild Ridge, crafting elegant Pinot Noir from vineyards on the rugged Sonoma Coast. 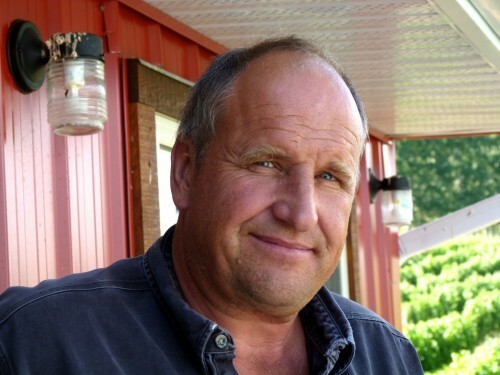 Randy Lange is a fifth-generation winegrower. During the 1870’s his Great-Grandparents, Johann and Maria Lange, settled in Lodi. By 1916 they had the family’s first grape-ranch. It was on this ranch where their dad, Harold, was born in 1920. In 1974 they decided to farm on our own. They finally built Lange Twins winery in 2006. 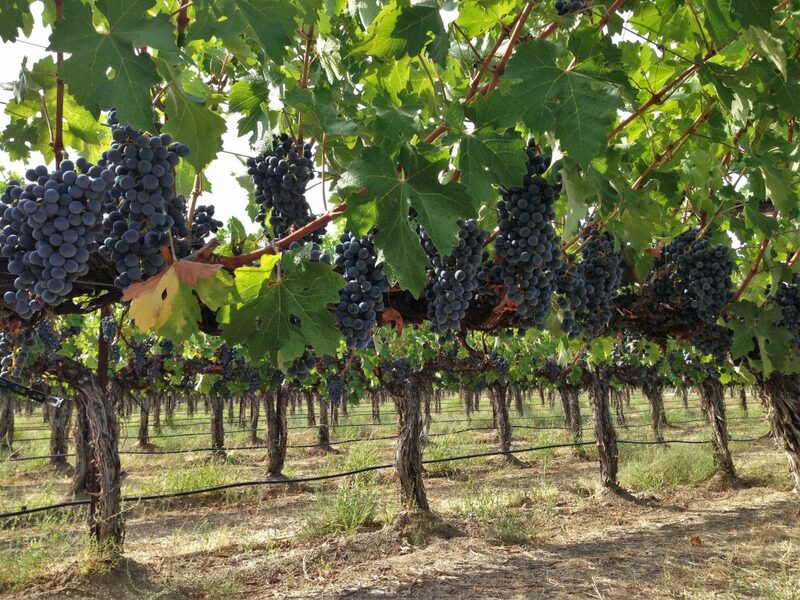 FYI – Lange Lodi vineyard produces spicy old-vine Zinfandel, concentrated Bordeaux-style wines and lively Rhone-style reds and whites—many from organically or sustainably farmed vineyards. Ondine is a passionate Sonoma County winemaker with experience ranging from cult boutique producers to notable household name brands. 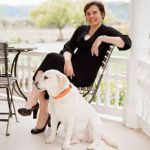 Her love of the diversity of Sonoma and California at large fuels her enthusiasm for making a range of varietals from Sauvignon Blanc to Cabernet. Started her career at Cline, Beam and Geyser Peak. 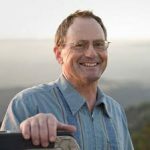 Paul Wagner has been an instructor for Napa Valley College’s Viticulture and Enology department for the past 23 years. 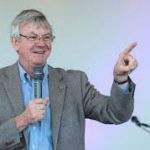 In addition, he teaches at the Culinary Institute of America at Greystone, is a guest lecturer at many universities and has spoken at more than 80 conferences throughout the world on wine, wine education, wine tourism, public affairs, and wine marketing. After an obligatory stint in Napa Valley he made his way to Ridge in 1989. 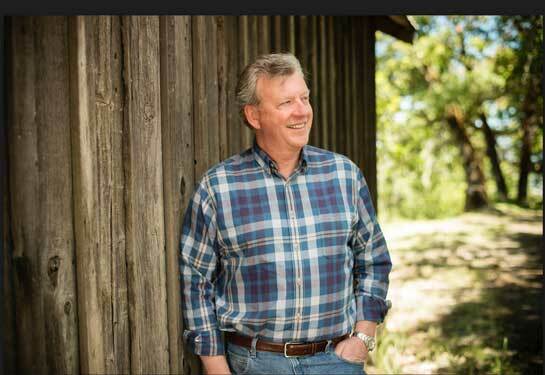 David’s duties include managing the historic Monte Bello vineyard in the Santa Cruz Mountains, the Whitton Ranch at Geyserville, and the Lytton Estate vineyards at Healdsburg, as well as monitoring and helping all Ridge growers in Sonoma, Napa, Santa Clara, and San Luis Obispo Counties. Ridge’s fame started when it was placed fifth in the 1976 Judgment of Paris tasting. 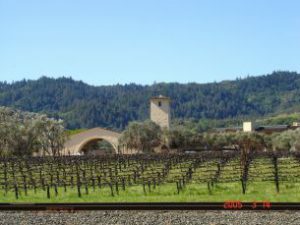 At the 30th anniversary tasting in 2006 it went several steps further, with its 1971 Monte Bello Cabernet winning first place in the original vintage category and the 2000 ranking top for new vintages. Silverado makes around 85,000 cases each year, of which 22,000 are Chardonnay and the rest Bordeaux-style wines. 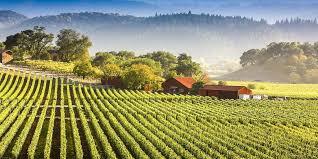 The vineyards are in cool climate Napa regions, Carneros and Stag’s Leap. Born and Raised in Napa. In September of 2002 she tried selling grapes to Chuck Wagner. 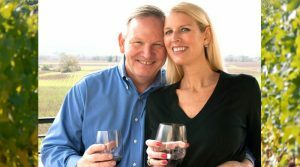 He declined the fruit but hired her to work with him.17 years later she’s Mountain Cabernet Winemaker for Caymus Vineyards. Harvest also has her own family winery Duhig, in Coombsville. 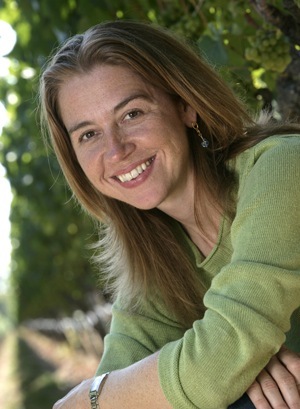 Also born and raised in Napa, Kristen brings two decades of viticulture and winemaking on three continents to making the whites at J Lohr. Along the way she worked with mentors Zelma Long at Long Vineyard and Milla Handley at Handley Cellars. Ray lost his winery to the Napa fires. The house his Father built and the buildings attached. Surprisingly his wines mostly survived. Signorello was designed like a Bordeaux Chateau. 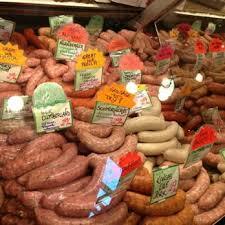 Everything farmed in-house for the past 40 years. His surviving vines included 38 year old Chardonnay vines with the Cab vines not that far behind. Ray was pouring his fabulous Signorello Estates Cab but also his new wines Fuse, Edge and Trim. Signorello is Located in the heart of the Silverado Trail. Just North is Stags Leap and just West is Oak Knoll. There’s a new winery being built this year. I cannot think of another winemaker who has stayed with the same winery for 28 years. Randy oversees 12,800 acres of estate vineyards in cooler coastal California winegrowing regions. One third each in North Coast, Monterey and Santa Barbara counties. A native of Santa Rosa Randy grew up tending the small family Muscat vineyard on their property. He and his family promptly build a small cellar into a hill on their property and started production. As one does in wine country. Randy has interned at Piper Sonoma and Far Niente before spending 23 years with Korbel and Draxton Wine. 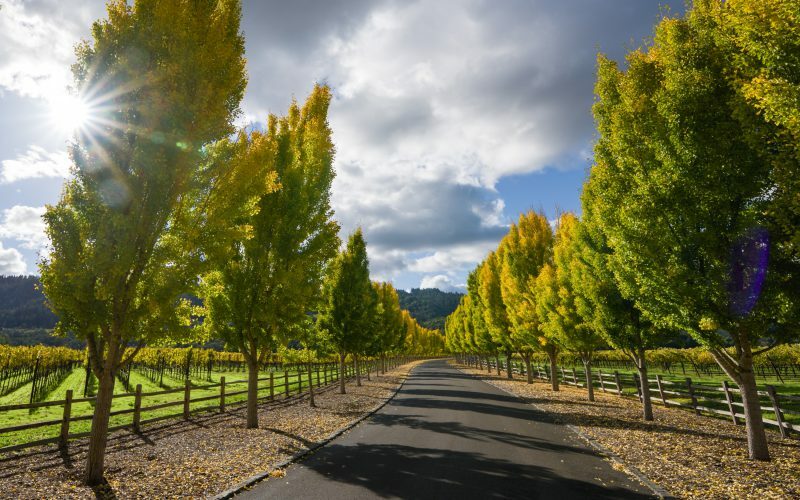 Geyser Peak was named Sonoma Winery of the Year in 2018 by The New York International Wine Competition. Farming in Sonoma plus The Russian River and Alexander Valleys. Fifth generation winemaker and winegrower Karl Wente grew up working at Wente Vineyards and expanded his experience at the Peter Michael Winery in Sonoma and Brown Brothers winery in Australia. 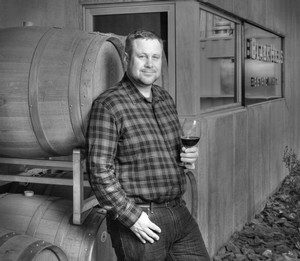 In 2013, Karl was named one of Wine Enthusiast’s “40 Under 40. 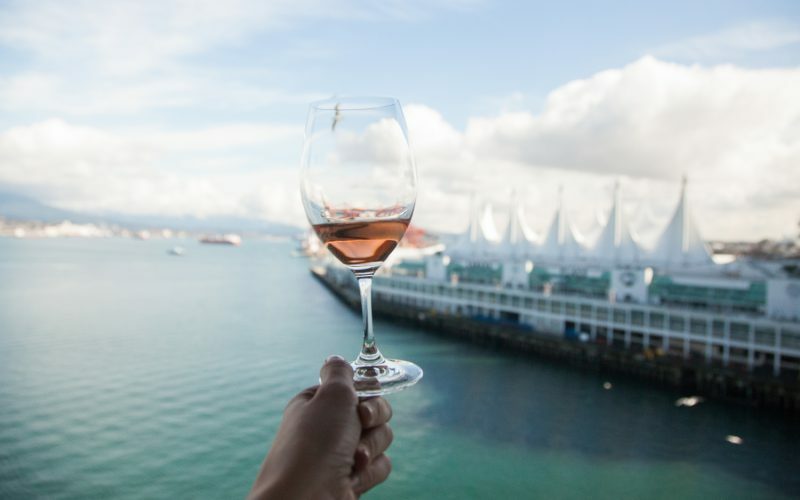 March 2nd, 2019- 41st Van Wine Fest features California Wines – So Do We! 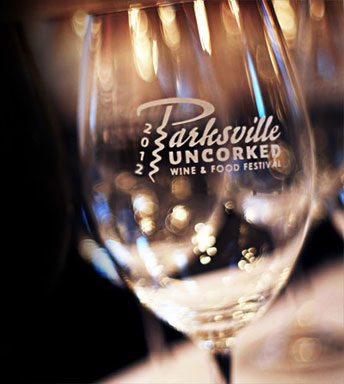 41st Van Wine Fest features California Wines – So Do We! 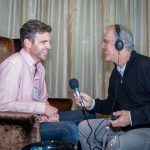 Thursday Feb 28 Tasting Room Radio sets up a mobile studio at Vancouver International Wine Festival to record 35 winemaker interviews. It’s the wine version of an All-Star Game. Second half Canada, mostly BC. Those interviews will run for the next several weeks. We’re starting by going back to last week’s wine stars. In order to get everyone into the show plus include The Somms and Oscar specials I had to edit their interviews down to a hand full of minutes. Joel Peterson – Ravenswood. Chief Winemaker & The Godfather of Zin. Inducted into the Vintners Hall of Fame. One of the leaders in preserving the heritage Zin vines of California. Joel is a true California winemaking Icon and a tremendous person. Born and raised in Michigan, Melissa worked for a number of years at a newspaper in Bellingham, so she’s familiar with Vancouver and its food scene. Graduated with a Bachelor of Science in Viticulture and Enology at the University of California Davis and her wine career was started. 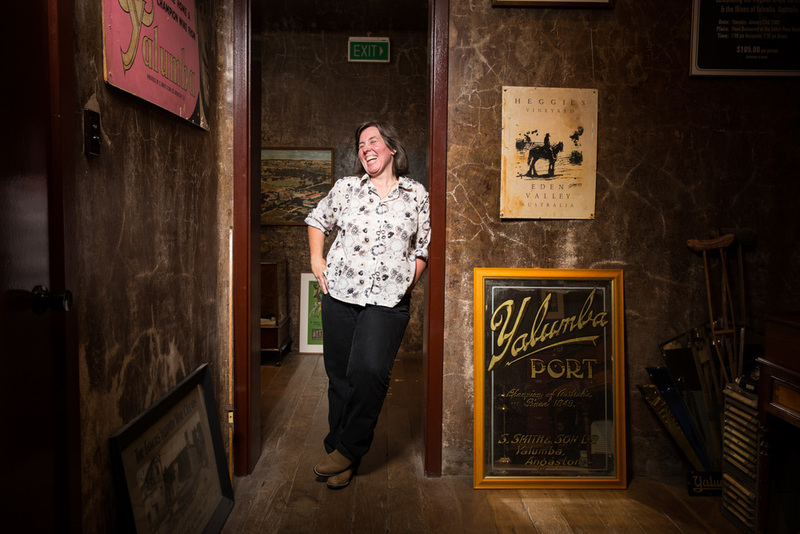 She worked her way through cellars at La Crema, J Vineyards Winery and Clos de Bois. That’s a lot of harvests. I’m really looking forward to her plans for Meiomi Bubble. Tom Gore is a second-generation grape farmer from Sonoma County and from the time he learned to walk, he was stomping alongside his dad, getting dirty and taking care of the grapes. For Tom Gore, farming isn’t a profession, it’s a way of life. 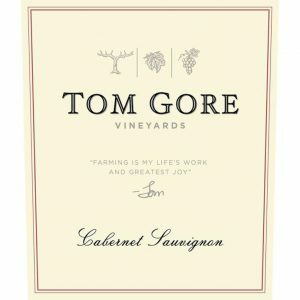 His family helped develop the vineyards of Northern California into a world-class winemaking region, and Tom’s childhood was spent among the vines. He has worked every harvest since he was seven years old, and has always known farming grapes would be his life’s work. He also has a wicked sense of humor. He’s funny. His wines are serious. Who better to speak to the history and legacy of Robert Mondavi than Master of Wine Mark de Vere? Robert Mondavi was one of just a handful of California winemakers who became a household name in the 20th century. He and his wife Margrit were one of the founding families of the wine culture in the Napa Valley. Some would argue, the founding family. One of their original vineyards To Kalon is considered equal to a Grand Cru vineyard. Google Robert Mondavi. It’s a huge story. And even though it’s not yet imported into Canada, try to get your hands on their Cab Franc. WoW! 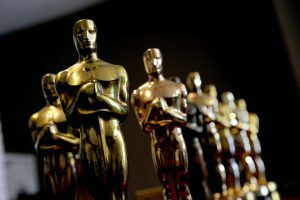 February 23rd, 2019- Here Come “The Californians” and The Oscars! This edition of Tasting Room Radio has a little bit of everything. 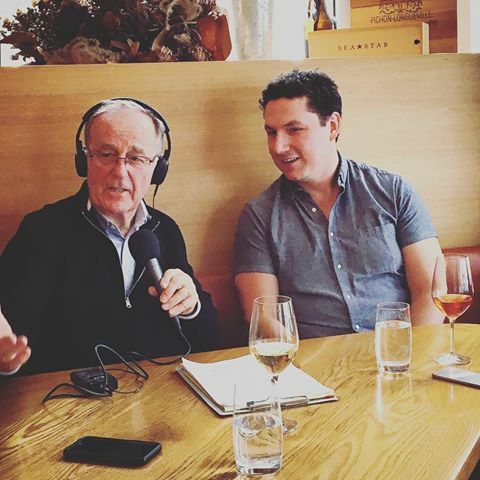 Interviews with the wine stars of Mondavi, Tom Gore, Ravenswood and Meiomi. And we finish with Film and Wine. It’s Oscar weekend (Sunday). 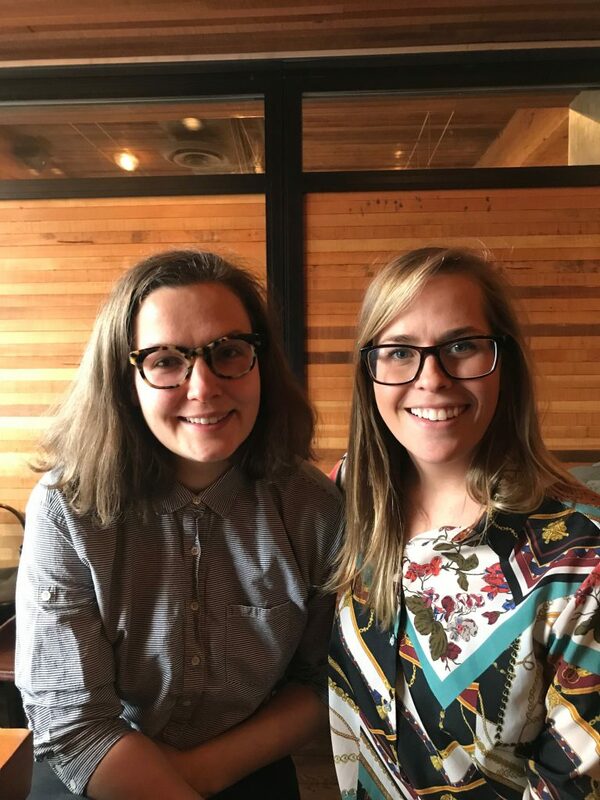 Gary and Hayley Hamilton Cogill created a Podcast that focuses on film and wine because that’s what they both specialize in. Gary’s picking the winners and so is Hayley. 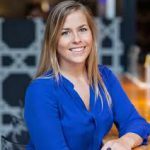 Melissa brings a unique vision and spirit to her role at Meiomi. 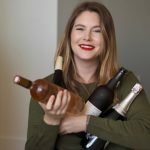 With as much zeal and enthusiasm as when she first started out in the industry, Melissa aspires to create wines that are meant to be enjoyed while laughing and sharing a delicious meal with friends and family. La Crema, J Vineyards & Winery, Jackson Family Wines, and Clos du Bois. 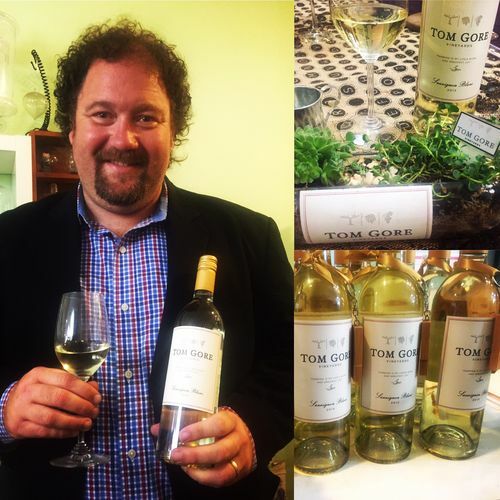 Tom Gore is a second-generation grape farmer from Sonoma County and from the time he learned to walk, he was stomping alongside his dad, getting dirty and taking care of the grapes. For Tom Gore, farming isn’t a profession, it’s a way of life. His family helped develop the vineyards of Northern California into a world-class winemaking region, and Tom’s childhood was spent among the vines. He has worked every harvest since he was seven years old and has always known farming grapes would be his life’s work. 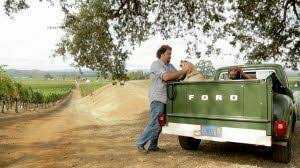 As Tom is most proud of explaining what he does as a farmer—connecting people to the earth and telling the story of where the wine comes from. The work of a farmer. 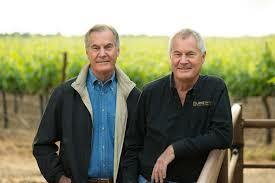 In 1976 Joel founded Ravenswood in partnership with fellow wine lover Reed Foster, a Harvard MBA. In 1977, he’d left his job in San Francisco and moved to Sonoma to work in the clinical lab at Sonoma Valley Hospital. He didn’t quit that job until 1992, a few years after the winery turned its first profit and Robert Parker pronounced Ravenswood wines “first class – bold, dramatic and complex.” Today, Joel works with 100+ northern California growers who provide grapes for Ravenswood. 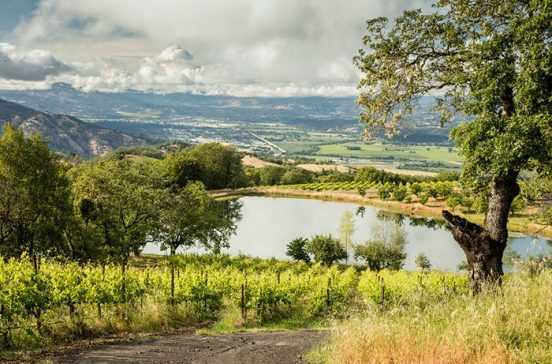 Ravenswood is one of the few wineries that has had the philosophical and winemaking skill of one winemaker for over 30 years. That contributes to a consistency of quality and style rarely found in California. 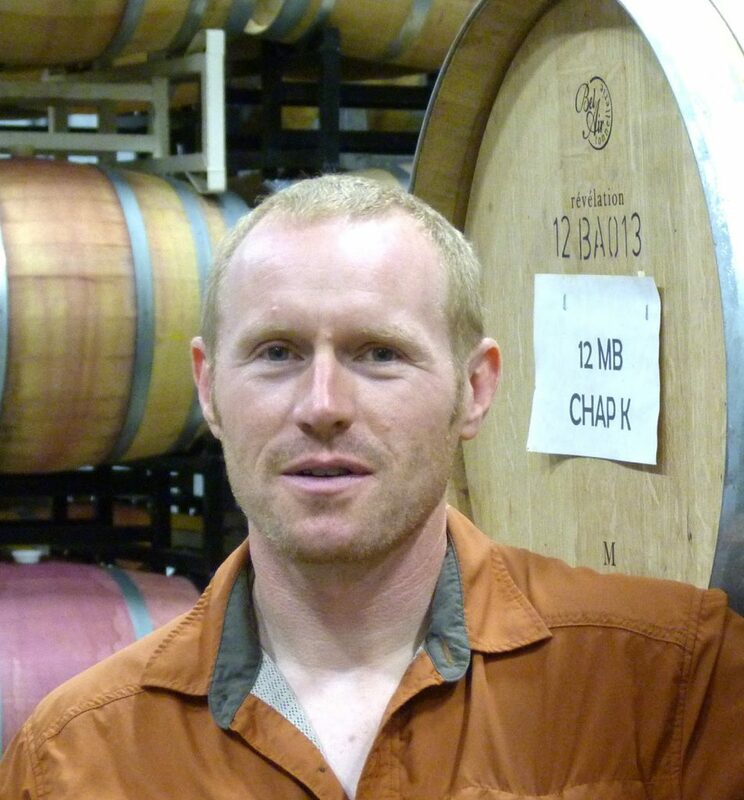 Joel is a current member and former president of the Sonoma Valley Vintners and Growers Alliance (S.V.V.G.A.) and is on the Board of Directors for the Sonoma County Vintner. 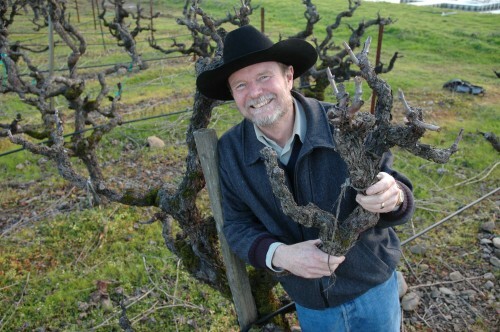 He is a founding Board member and former two-time President of Zinfandel Advocates and Producers (Z.A.P.). 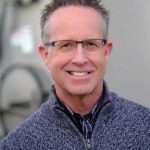 Joel is also a Senior Vice President with Constellation Wines US. He is also a member of the Vintners Hall of Fame. A great guy and a true friend to all of us. 41 years ago, when the first wine festival took place… Robert Mondavi was the first and only winery attending. So it’s a wonderful thing to see them featured 41 years later along with California. Yes, they will be pouring their famous Cabernet Sauvignon 2015 but do NOT pass up the chance to try their Oakville Cab Franc 2015. WoW! Mark takes us through the wonderful story of how Mondavi came to be one of the great wineries of the World. Who better to give everyone some reminders of how to survive a chase through the VanWineFest Tasting Room. There are hundreds of wines being poured. Its led some attendees to wobble after lunch or after dinner. 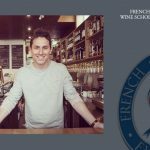 Offering help with your plan and some wines to watch for are..
Kurtis Kolt – Georgia Straight and wine educator. Make notes and Good Luck. Its Oscar weekend. 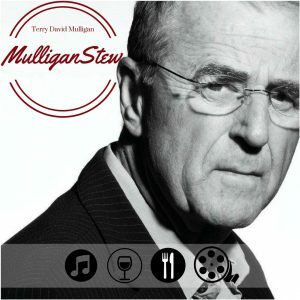 Gary and Hayley have a great Podcast that blends Film and Wine. Gary has been a well known TV and Print film critic for many years. 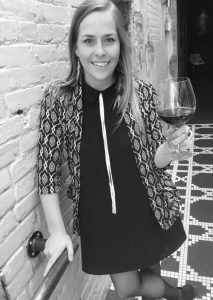 Hayley Hamilton Cogill is a much admired Sommelier known for columns and shows like Dallas Uncorked. Red Wine with Breakfast. Hawaii Uncorked etc. Hayley will pair with a theme or character from the films or roles. It’s fast and it’s fun. We have four stories for you. 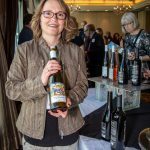 A primer of the next VanWineFest, also advance notice on the 3rd BC Cider festival and a check in on the wildly popular Oyama Sausage at Granville Market. 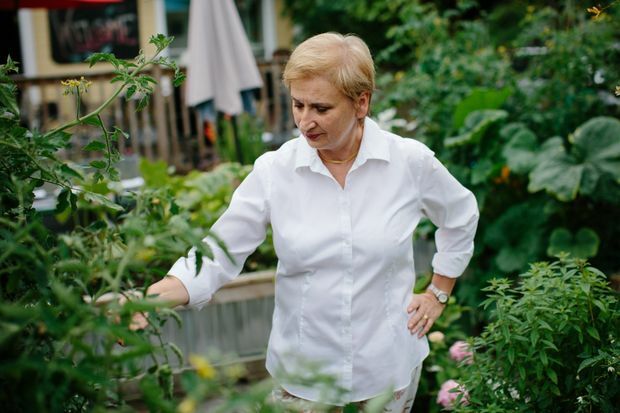 Joanne Sasvari editor of Vitis will pair wines with Oyama’s legendary offerings. And we finish with Bob Blue, Winemaker at Bonterra plus winemaker of a Bourbon aged Zin called 1000 stories. He’s one of the stars at this year’s Wine Festival. This is Harry’s second visit in row. It’s because he can now talk about The Stars who will be appearing and pouring. 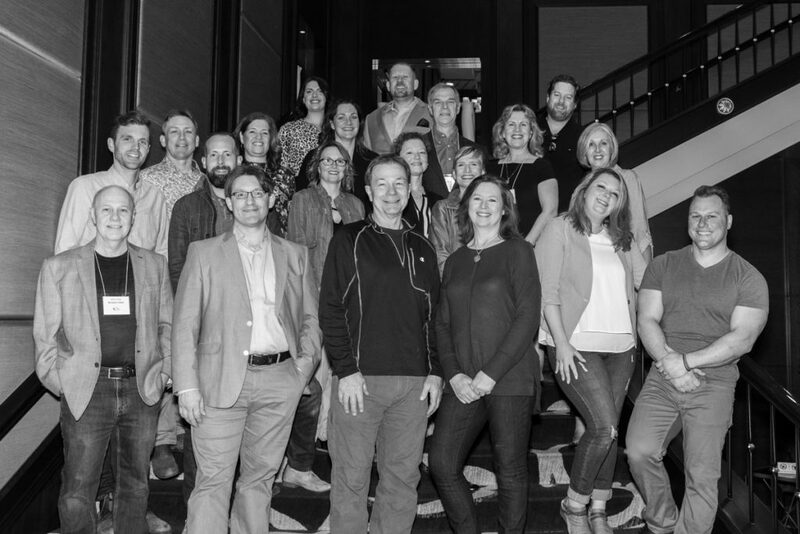 From Gina Gallo and Jean- Charles Boisset to Joel Peterson (Ravenswood) Genevieve Janssens (Winemaker Mondavi) Randy Ullom (Kendall Jackson) Christine Coletta(Haywire) John Skinner (Painted Rock), the first pouring on Aquilini Red Mountain Wines and many more. One of the highlights of 2018 was attending, tasting and doing interviews at The Pipe Shop, foot of Lonsdale in North Vancouver. 300 Vancouver early bird tickets sold out in 45 minutes. And then Joanne Sasvari the editor of Vitis comes into the picture with her wine choices to go with Jerome’s specials.